Try to take on the the park's signature roller coaster, Thunder Dolphin! Book through Klook for an exclusive 50 percent discount for these attractions! Suppppppppppppppppeeeeeeeeerrrrrrrrrrr greaaaaaaaattttttttttt dayyyyyyyy.. The roller coaster ride was one of our scaressttttt rice everrrrr...we lost our voice screamingggggg... 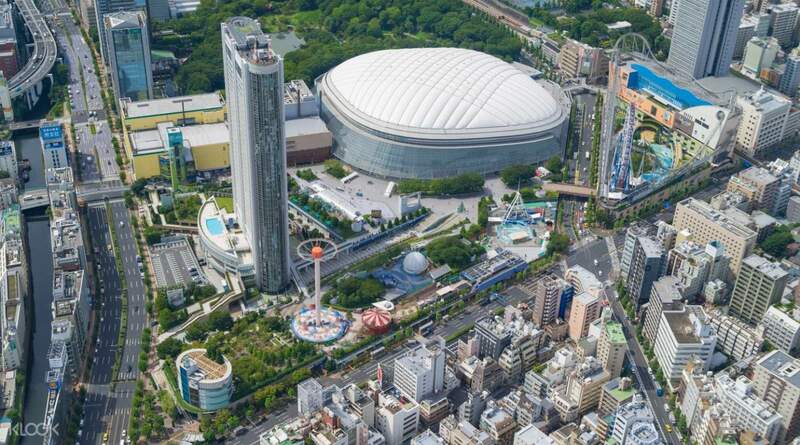 It's totally worth it.. tickets in klook is super easy to used..
Get a 50 percent discount for two amazing attractions inside Tokyo Dome City! 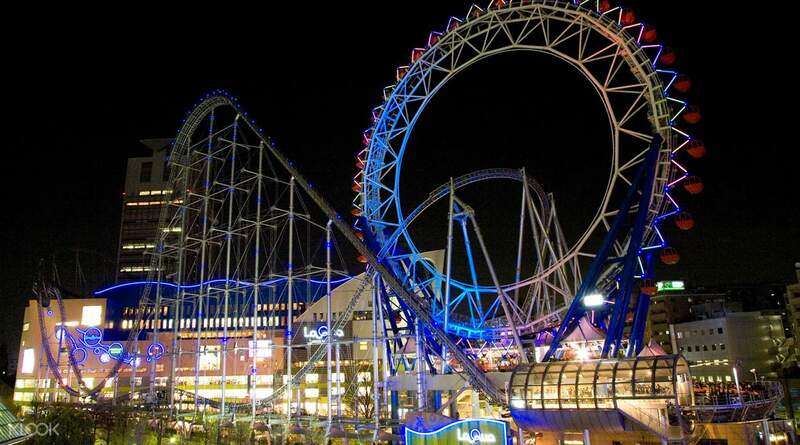 At Tokyo Dome City Attractions, you can rise above the clouds of Tokyo on the Big O Ferris wheel, then scream your lungs out on the Thunder Dolphin roller coaster and Onryou Zashiki haunted house. These are just some of the rides that you’re sure to love. Take breaks in between by being entranced by their Water Symphony. 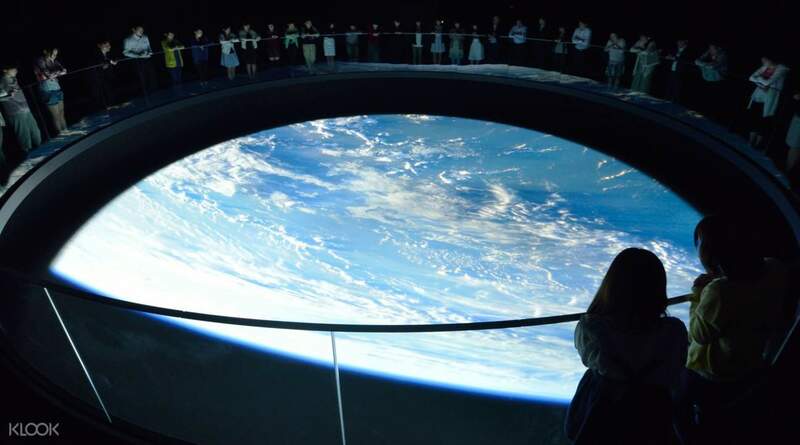 Then, in Space Museum TeNQ, indulge your sense of wonder by exploring outer space through their fun and interactive exhibits. With over 9 areas to explore, you'll surely have a full and enriching day at this museum. Definitely a lot of fun! We enjoyed 4 rides included and TenQ Space Museum at the end. Heaps of places to eat at and the local park nearby was very beautiful especially for cherry blossom. We weren't able to ride the roller coaster due to height minimums. Definitely a lot of fun! We enjoyed 4 rides included and TenQ Space Museum at the end. Heaps of places to eat at and the local park nearby was very beautiful especially for cherry blossom. We weren't able to ride the roller coaster due to height minimums. Suppppppppppppppppeeeeeeeeerrrrrrrrrrr greaaaaaaaattttttttttt dayyyyyyyy.. The roller coaster ride was one of our scaressttttt rice everrrrr...we lost our voice screamingggggg... It's totally worth it.. tickets in klook is super easy to used.. Suppppppppppppppppeeeeeeeeerrrrrrrrrrr greaaaaaaaattttttttttt dayyyyyyyy.. The roller coaster ride was one of our scaressttttt rice everrrrr...we lost our voice screamingggggg... It's totally worth it.. tickets in klook is super easy to used..
Got the four rides and TenQ pass, the TenQ was interesting but if your kids want to ride wait and get the after 5 unlimited ride pass. Being cold we were happy with only four rides in the end anyway. The roller coaster is tops! Got the four rides and TenQ pass, the TenQ was interesting but if your kids want to ride wait and get the after 5 unlimited ride pass. Being cold we were happy with only four rides in the end anyway. The roller coaster is tops! This place was fantastic for kids and adults. If we come back to Tokyo we will go there again. This place was fantastic for kids and adults. If we come back to Tokyo we will go there again. This was a total rip off. It was only $10 more to buy the tickets at the gate and get “unlimited” rides for the day. This ticket only gives you 4 rides. Would not recommend it. Also took 40 minutes to find where to get our tickets. This was a total rip off. It was only $10 more to buy the tickets at the gate and get “unlimited” rides for the day. This ticket only gives you 4 rides. Would not recommend it. Also took 40 minutes to find where to get our tickets. Thank you for choosing Klook and taking time to leave us a review. Klook has been striving to provide users with better deals and services. Kindly be reminded that this package includes 4 rides on attractions in Tokyo Dome City and also includes Space Museum TeNQ admission ticket. Please refer to the package details before making your purchase. We appreciate your kind understanding and cooperation. Thank you! Thank you for choosing Klook and taking time to leave us a review. Klook has been striving to provide users with better deals and services. Kindly be reminded that this package includes 4 rides on attractions in Tokyo Dome City and also includes Space Museum TeNQ admission ticket. Please refer to the package details before making your purchase. We appreciate your kind understanding and cooperation. Thank you!